As executive director, Michelle serves as the backbone – and ambassador for – the Club and is responsible for the Club’s operations and maintaining and enhancing its century-plus legacy of excellence. 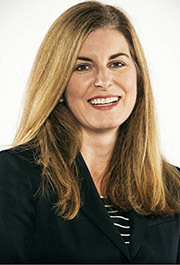 Michelle also serves as executive director for the Adcraft Foundation, which includes all Adcraft scholarship programs and the Michigan Advertising Industry Alliance, Adcraft’s sister advocacy group for the ad industry. 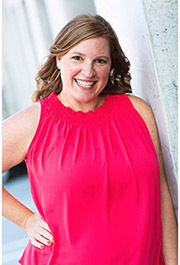 In her role, Michelle helps to develop the organizations’ strategic plan and program of work, including developing products, programs and services that meet member needs. She also works to enhance Adcraft’s brand in the community, encourage membership growth and develop print and digital publications that help Adcraft meet its overarching goals. As membership manager, Shelby is an ambassador for the Adcraft brand, working alongside members to ensure they fully utilize all of the opportunities presented through their Adcraft membership. Shelby works with the Executive Director and Membership Committee to facilitate member growth and retention while also investigating new ways to bring value to individual and group membership packages. 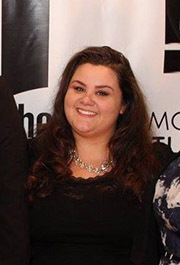 Prior to working for Adcraft, Shelby was President of Eastern Michigan University’s Ad Club and a 2015 Adcraft Foundation Scholarship recipient. She interned in project management at The Henry Ford Museum and in public relations for LLamasoft. Shelby also served as an advertising research assistant to Dr. Sheila Sasser at EMU before graduating in 2017. As Events Manager, Debbie oversees all Adcraft events including planning, implementation, management and promotion. In her role, Debbie works with the Executive Director and Events Committee to help to maintain Adcraft’s vision and goals for each event while ensuring flawless experiences for all event participants and sponsors.